Really beautiful and comfortable cropped pants from KAFFE. 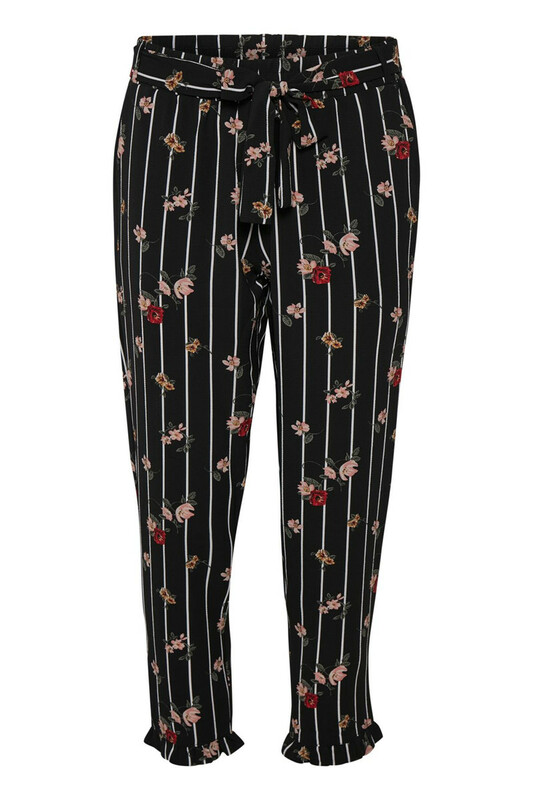 The pants have a length below the knee with feminine ruffle details at the end. 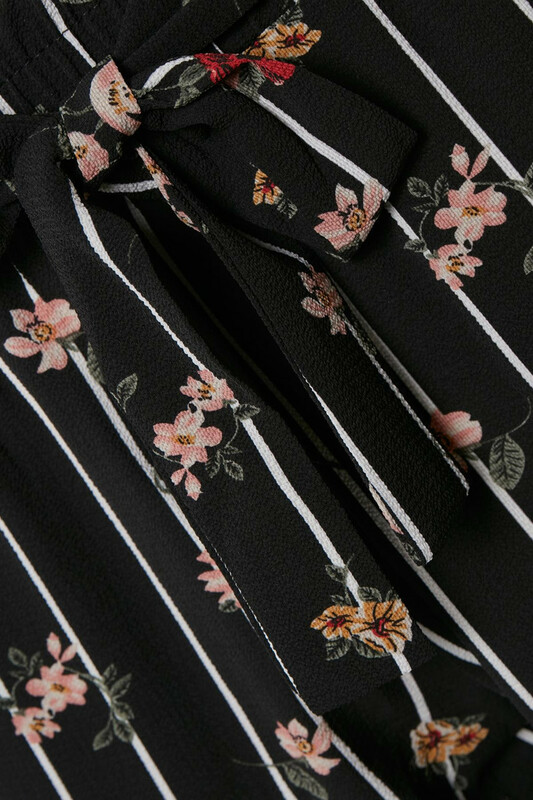 It has a wide elastic waistband and self-tie belt and a relaxed fit. 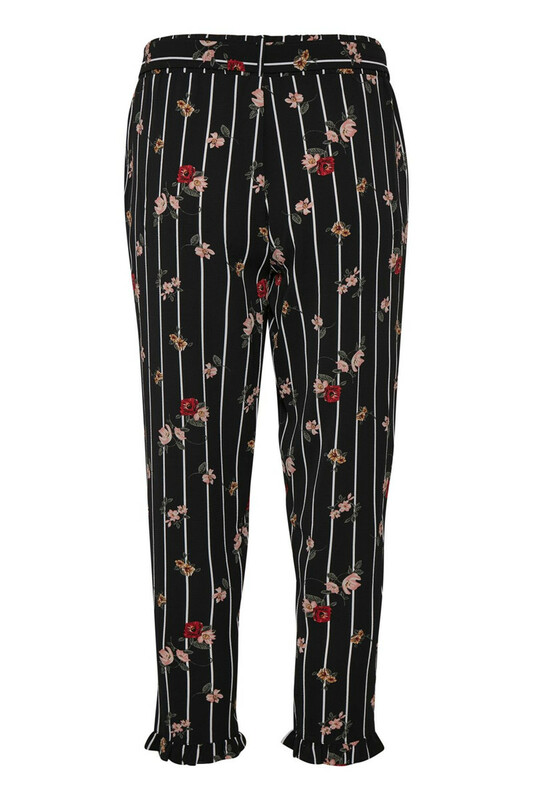 The cute pants are super comfy, have this really trendy print and are easy to style for everyday use and party occasions. The short pants can also be matched with Ayse Kimono for a complete cool and stylish look.